with Yoshino Hiroyuki (script), Kikuchi Yasuhito (Director), Endou Aya (Sheryl) and Inoue Kikuko (Grace). Note 3: I had A LOT of difficulty trying to figure out who was talking at particular times in this commentary, so some of the comments might not be attributed to the right people. To be honest…any help on this one would be particularly appreciated! Endou: And we jump right into this painful scene. Yoshino: right into the start of a battle. Inoue: It’s a bit of a surprise, isn’t it? How Grace acts here. Yoshino: But if I remember correctly, weren’t you having a lot of fun at this point? Endou: Even now, you’ve got a grin on your face! Inoue: To be honest….it was heaps of fun! Yoshino: And you said it so cutely! Inoue: It’s just that, she really is horrible! Yoshino: But to me, whenever we passed by each other in the corridor, you were always asking me “Does she get any worse? She gets even worse, right?” (laughter) And with this happy note in your voice! Endou: What? Did you request it? Yoshino: Although we wouldn’t go so far as to say she became a monster. Yoshino: Look, “Lion” has started! 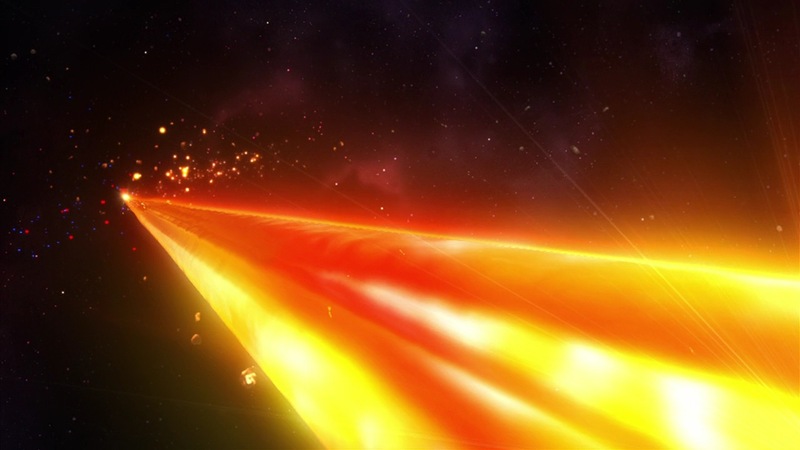 Inoue: The first time I saw this, the complete opening, I was stunned! It’s soooo cool! Endou: And it started with episode 18, didn’t it? Yoshino: (When we were working on) a couple of episodes before this, Kawamori actually mentioned that it had to be this episode. Endou: so it was planned for this one? Endou: It’s like they’re really battling it out (musically). Endou: Is it ok to say that? Yoshino: I think everyone knows already. Yoshino: and it’s the same Kurokawa Eiji who wrote the lyrics to the SMS Shoutai song. Kikuchi: That’s right, he also wrote those lyrics. Endou: It’s an amazing song, that one, don’t you think? 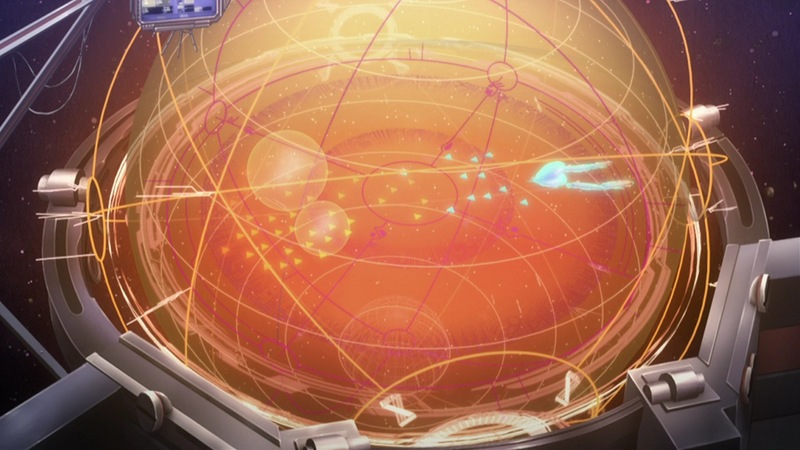 Endou: wow…learning about these kinds of things. Inoue: it really is like a commentary, huh? Inoue: Ah, this part…I love it! Kikuchi: I should apologize…this part, I thought that it would be best if I made her seem inhuman. Inoue: And that’s why it’s so rough, like how she’s just thrown her against the wall here. Yoshino: In the end, Kikuchi, did you do this scene? Kikuchi: In the end, I left it to the person who was in charge of this episode, and it turned out really well. Yoshino: But for me, having the director himself say he wanted to draw it made me really happy. Kikuchi: But going back to that…was it something like “if I bully Sheryl as much as possible, it’s my win”? Inoue: True true…it really gets a lot worse from here, doesn’t it? Endou: But even though everyone’s so kind now, knowing that…! Bobby is so unbelievably GAR!! The seiyuu even cracked up during the recording session, even though it was just in lines (key frames?) at the time. This scene had much of an impact. Kikuchi: Ozma ends up in hospital an awful lot, doesn’t he? Kikuchi: He just somehow ends up there, no matter what he does. Inoue: Ah…I like this scene. Just after this, doesn’t Kanaria cut some apples for Ozma? Yoshino: Ah yes, I wrote that. Inoue: Ahhh…so she made a little bunny? 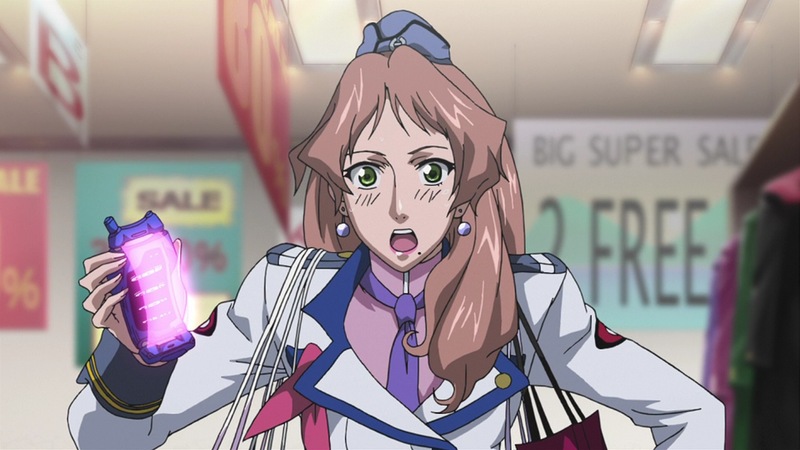 Yoshino: If you think about it, she’s a doctor, a medic, so she’d be good at using a scalpal. And furthermore, she’s a mother too, so surely she’d be good at peeling apples. Therefore, she’d cut something amazing, just like this, right? Kikuchi: That was really evil of you. (laughter) It’s like you were trying to bully someone. Yoshino: I guess that’s true, if you look at it from the animator’s point of view. Endou: And I’m grateful that you keep those from us…. Inoue Kikuko: I’m sorry, went a little OT there! Yoshino: Ah, he’s pretending to be deep in thought. Endou/Inoue: Ehhh!? He is thinking! What do you mean!? => “But he’s got some pretty heavy burdens you know, though he’s just a high schooler. Kikuchi: Oh yeah, he is. Endou: Huh? (did you forget)? Kikuchi: It’s something that’s quite easy to forget, really. Kikuchi: because those discounted CDs are pirated copies. Yoshino: And that’s why it’s discounted. Yoshino: Ah, it’s Klan Klan. Endou: her socks are cute! Yoshino: even though we said that it really shouldn’t be done! Endou: I mean, it’s so detailed, the designs on Sheryl’s stockings (back in ep. 16) even had heart marks on them. Yoshino: And that’s after you really simplified them. Kikuchi: They were actually more intricate. (Yoshino: yup yup) LIke, I kept saying that it’s just not something we can do in an anime! Inoue: That’s a good thing, huh? Yoshino: It was something like “Since she’s micronising, it’d be interesting if she became a loli”, that’s all. Kikuchi: and that’s how she got that super dynamite body. Yoshino: In the end, we showed Mao as well. We wondered if we should, since she was really young in Zero and we thought fans wouldn’t want to see her as an old lady. Kikuchi: But if we didnt show her, it would have been difficult for the story to proceed, so in the end, we had her around middle age, 50 or so. Yoshino: And here, for the first time, we’ve got Battle Frontier. Kikuchi/Yoshino: No no no, it wasn’t like that. Yoshino: It was all according to plan, wasn’t it, Director? Kikuchi: the ending was set in stone, but the ‘how will we get there’ kept changing during those jam sessions. Endou: That’s an interesting way to put it, “jam sessions”. Kikuchi: If Yoshino said something, that’s how we’d go about it. 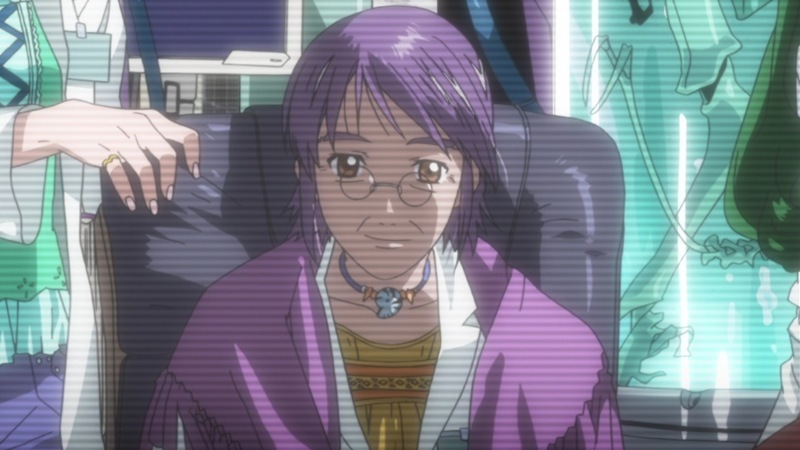 Yoshino: What typically happened was that I would propose something crazy, which would be shot down by Kawamori, only to propose something crazier…and then I would add more again. Yoshino: Putting the script together turned out to be heaps of fun. How could you resist that, Michel!!! Yoshino: It was really well done, huh? Endou: Really makes your heart skip a beat! Kikuchi: Everyone really wanted to draw her. Yoshino: There really was a lot of love for her. Inoue/Endou: Well…she really is cute! Kikuchi: Yup. Twintails, and on top of that..
Inoue: It’s a really cute hairstyle. Kikuchi: Such a great guy, really, Michel. Kikuchi: Showing his understanding of Alto’s mindset. Yoshino: …was a little surprising, huh? Inoue: She’s stumbling around, about to fall – it’s done really well, don’t you think? Endou: Ah, Grace really is here! Inoue: Why is she there beside her, huh? Inoue: She really is horrible, isn’t she? 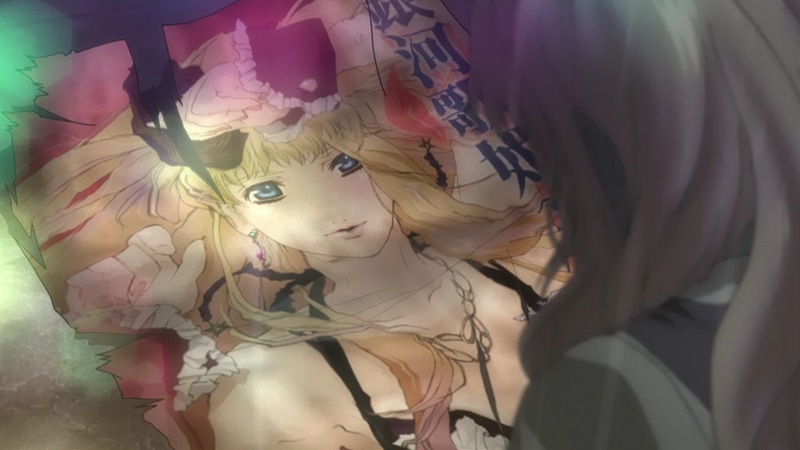 Inoue: Here, her body too…it really leaves you speechless, what happens here. Kikuchi: From the point where she sees Ranka. Endou: That’s where it becomes unbearable. 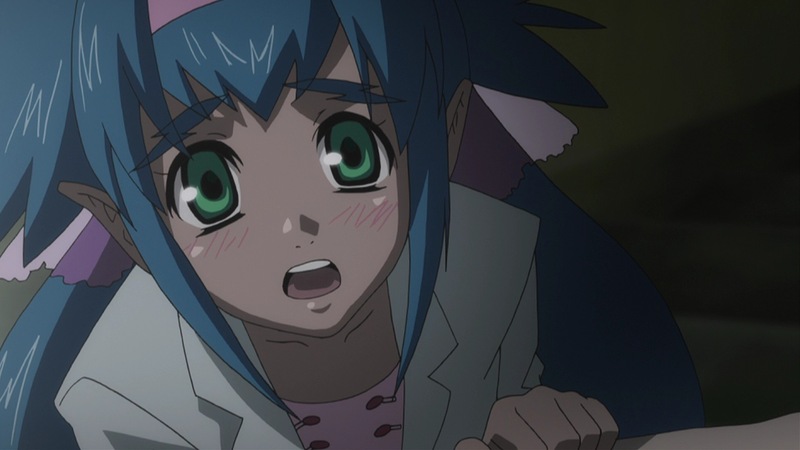 Inoue: This really is painful, the point where she sees Ranka. Endou: Even when I saw the rehearsal video, I couldn’t believe how painful it was. Here, this part, just unbearable!! 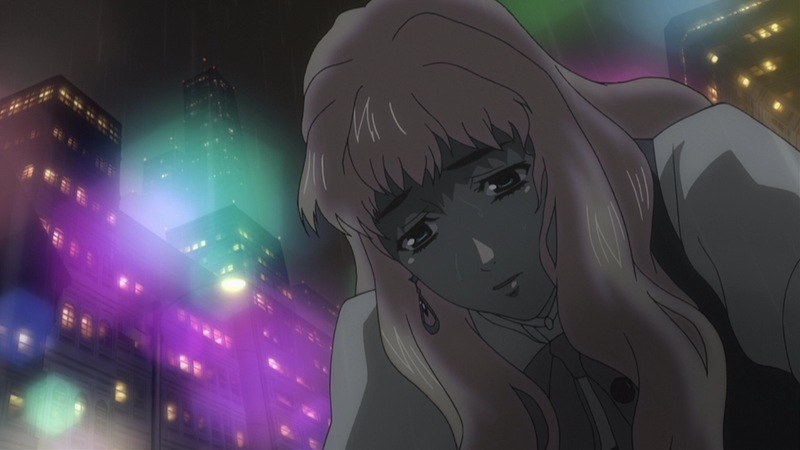 Kikuchi: The use of this song, “Do you remember love?”…that was Kawamori’s ‘fresh idea’. Yoshino: I even wrote that it’s been thoroughly trodden on. Yoshino: It’s not the person she expects. Kikuchi: He’s got really good timing, huh? Kikuchi: This was entirely according to the script. Yoshino: We talked about having Sheryl and Alto just miss each other, but then ‘what would be most interesting?’ I just thought that ‘It’d be really interesting if she somehow mistook Yasaburo, for Alto. Kikuchi: The person you’d least expect. Endou: Me too…and this song, I never thought it was this sad before. Endou: And it was really tough to act out. At the rehearsal, I cried so much that I really couldn’t do it. Kikuchi: And then, with great timing, the alert sounds. Why now? My long-awaited day of shopping!! Endou: At such a time, it’s like, she’s just a normal girl! Yoshino: And even here, Brera’s just showing his belly button as usual. Kikuchi: It’s not just because it’s amusing. Yoshino: Well…which episode was it? Episode 8? Where Brera first appeared, that scene where he plays the harmonica. I wanted him to appear like a young man wrapped in mystery, but that outfit! Rather than mysterious, it was like..what the?! 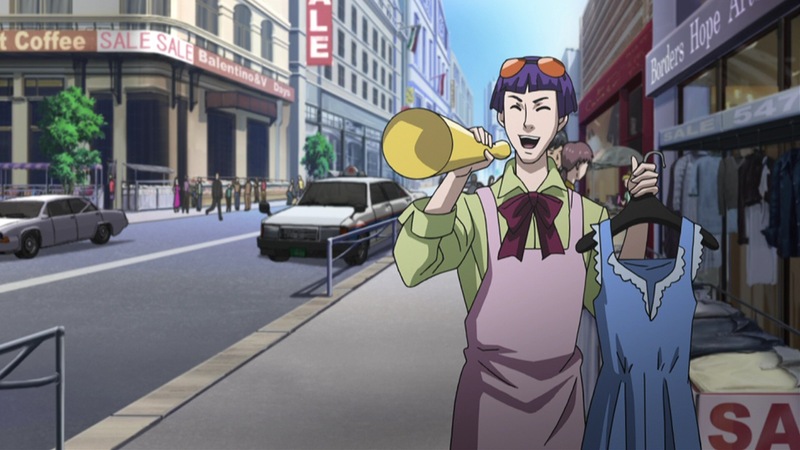 Inoue: Just some really strange person. Yoshino: Well, it really had an impact. ?? : Ack! We’re starting to watch it! Where’s the commentary? Gotta do the commentary! Endou: Even during the recording, it was so fast that we really couldn’t follow it. Yoshino: But even this is already slowed down. Inoue: Ah, so it was even faster. Kikuchi: The battle scenes were actually faster, but people couldn’t follow them, so we kept slowing them down. Kikuchi: Well, the people watching it on TV just wouldn’t be able to follow it. Kikuchi: On the ones that are sold, she is actually wearing underwear. Yoshino: but the girls painted on real fighter planes normally aren’t wearing anything! Kikuchi: That’s true. They’re really in just their birthday suits. Yoshino: Even the upper halfs of their bodies aren’t covered. Endou: There must be lots of those, lots of things that were developed during the early production stages. Endou: Perhaps we could see them somewhere else? Kikuchi: For some reason, everyone always laughs when Bobby appears. 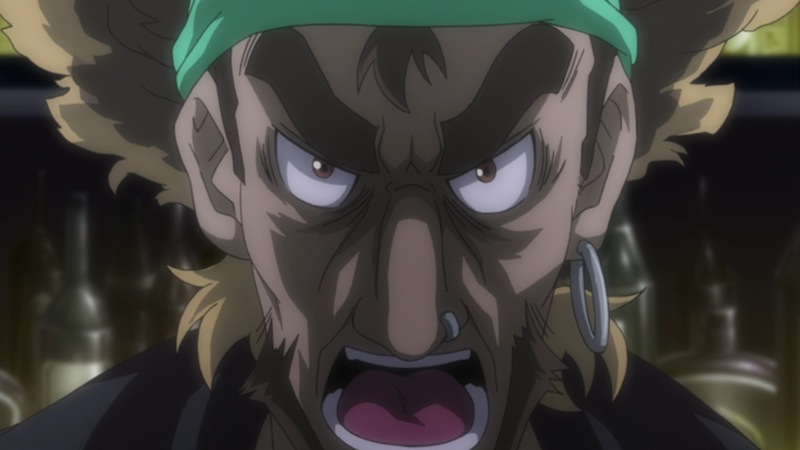 Yoshino: If you think about it, if the person who pilots the titular mecha is the protagonist…then that’s Bobby! ..Ah! Wait – that’s the Quarter, isn’t it? Sorry, take that back. The beam from Battle Frontier cuts through the swathe of Vajra…and huge stabs of pain shoot through Ranka’s stomach… Still not obvious enough? Kikuchi: And this is the first time that Frontier fires, huh? It really is quite flashy. Endou: Well, it’s Sheryl Nome’s Endou Aya. I thought that I wouldn’t be able to say much with this episode, because it’s just so painful, but it ended up being heaps of fun. (laughter) Like, I feel like I’ve been saved – I really enjoyed hearing about all those things, so thank you. Inoue: And, it’s Inoue Kikuko, who played Grace. Well, Grace…is such a horrible person. But…I really like her. I…feel like i want to do more, it was so much fun! Inoue: I’ll do my best. Everyone, thank you! Yoshino: Well…my brains have kinda flown out the window at the moment (laughter), but I’ve had fun, so I hope you all enjoy it too. And that’s it from me, Yoshino Hiroyuki. Director, on to you. Kikuchi: Alright. Er…hm…one minute, really isn’t very long, is it? Ah, we’ve already gotten this far. Yoshino: You’ve got about 15 seconds. Please go ahead. Yoshino: It really is going! 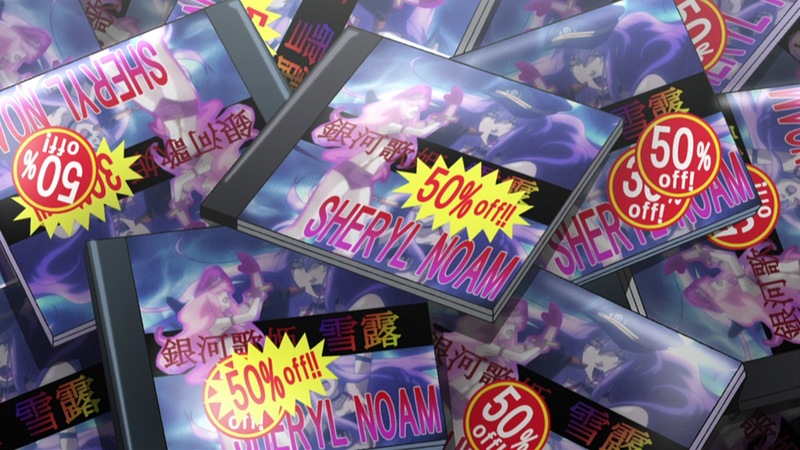 “Kikuchi: because those discounted CDs are pirated copies.” Well, that explains that. (^_^;) I still don’t know why they spelled her name as Norm in the Macross F – Ranka Lee Official Book (not the Visual Collection, I still need to get that). I remember flipping through the pages and laughing out thinking “Oh no, they didn’t!” when I saw Sheryl’s character page. Once again, thanks for your hard work on translating the comments! I love this episode for many reasons and it was nice reading the background to some of my favorite scenes! I still don’t know why they spelled her name as Norm in the Macross F – Ranka Lee Official Book (not the Visual Collection, I still need to get that). I remember flipping through the pages and laughing out thinking “Oh no, they didn’t!” when I saw Sheryl’s character page. Really?! ROTFL!! Well, that was one of the earlier books. Sometimes, I really think Satellite should hire one dedicated person (or small team of translators) to do all their English translations/signage etc. There are plenty of Macross fans in Tokyo who’d be willing to do that, I reckon. You’re welcome. Glad you’re enjoying them. Though…I have a slight dilemma over episode 20’s commentary…due to its nature, it’s something that doesn’t really work well as a text-only translation…. Ah, I’m waiting the commentary for that episode eagerly. This seems like a good place to discuss /that/. 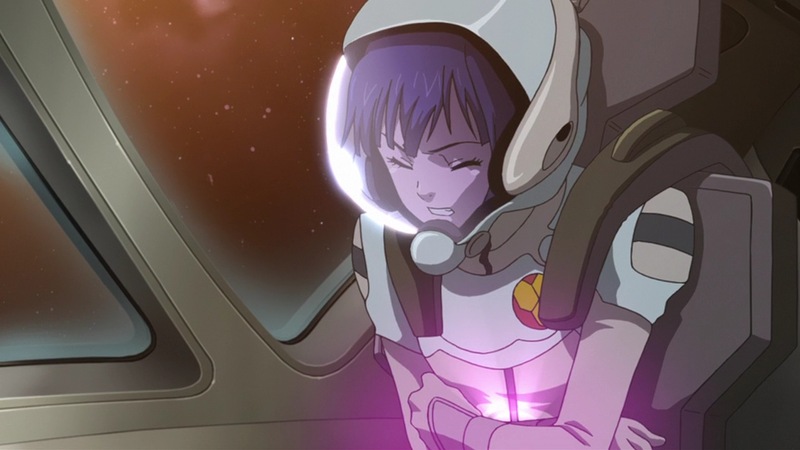 I just want to discuss somewhere my view of that episode, since I think with Ranka Kawamori may have wanted to deconstruct the war songtress trope he himself created with Minmay. Like, it’s okay to use something like songs as a war tool? Or even worse, someone as a war tool? To pervert a young girl’s dream like that? It’s just you can discuss this anywhere without it turning into a flame war. “someone as a war tool” I fail at English.